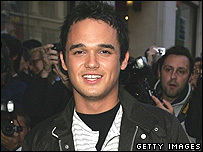 Former Pop Idol runner-up Gareth Gates is to marry his long-term girlfriend, he has announced. The singer, who scored number one hits with Spirit In The Sky and Anyone of Us (Stupid Mistake), proposed to dancer Suzanne Mole on New Year's Eve. "We are both extremely happy and look forward to planning our wedding and life together," said Gates. Gates shot to fame in 2002, as he overcame a stutter to win a legion of fans on TV talent show Pop Idol. He lost to Will Young, but went on to sell 3.5 million records worldwide. However his last album, 2007's Pictures Of The Other Side, stalled at number 23. Gates, 23, and Mole, 32, have been dating for five years. Pop Idols: Where are they now?